Scientists say the human body is around 70% water. We know that’s not true. Oh, we could drink ‘straight’ H20, but usually we don’t. More likely it’s vitamin rich juice or teeth rotting cola. We like a nice cup of tea to calm us down or cheer us up. Perhaps a nice glass of wine to celebrate or drown our sorrows. Two glasses. Too many glasses. Our bodies do contain liquid of course. Never just water. What’s in yours; acid and bile or the milk of human kindness? Blood, sweat and tears of joy or sorrow? It’s these waters you’ll find running through these stories. 1. What made you decide to release a book of short stories after having 2 successful novels? It seemed like a good idea at the time! Actually ‘Not a Drop to Drink ‘ really did start as just a vague idea. 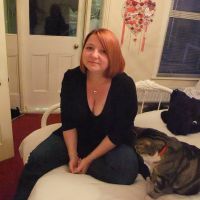 I mentioned it to Rosemary at Alfie Dog Fiction and she offered to edit and publish the book under the Smiling Dog imprint to help promote my writing and the Alfie Dog website – where you can download around 600 truly excellent short stories by authors who write in a wide range of genres. My husband agreed to produce a cover so I didn’t have to do anything really, except email Rosemary a selection to pick from and agree with her excellent suggestions on layout etc. I often get idea when I’m carrying camera gear along the beach, climbing hills or working on my allotment, so probably it’s getting puffed out in the fresh air. Just in case I’m wrong and cake is my real inspiration, I eat loads of that. 3. How much time do you spend on research? It depends. I tend to base stories in areas I know and give characters jobs I’ve done which helps quite a lot. I’ve worked in shops and offices, on a ship, as a waitress, on a farm and as a telephone operator, so I’ve already done a fair bit of research. When I do need to research anything new, I do it as thoroughly as possible. I’ve attended inquests, got lost on the underground and sang carols in order to write about these things. 4. Describe your average day? If I’m working – drink tea, go to work, write in my lunch break, come home and check emails etc, submit to a magazine, cook dinner, drink wine, read, sleep. If away in the van – drink tea, climb a hill, photograph ships, visit a castle (or all three), write, cook dinner, drink wine, read, sleep. I’ve almost finished Burning Bright by Tracy Chevalier and am really enjoying it. Write! Having a go is the best way to learn. Reading books of advice, attending classes and learning the rules are all a good idea, but you need to actually do the writing, not just know the theory. 7. How do people get hold of your book? ‘Not a Drop to Drink’ is available from the Alfie Dog website. And don’t forget to check out the Alfie Dog website (link above). Is it something YOU would consider? This entry was tagged Guest Posts, My Blog Guest, Patsy Collins, Short Stories, Writer, Writer Resources, Writers Resources, Writing. Bookmark the permalink. I checked out the site but it looks like this book isn’t available for kindle. Is that right? 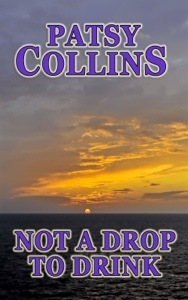 I did that but when I got to checkout it says not suitable for Kindle. Am I being really dim here? They then send you an e mail with the book as an attachment. Ahhhhh, hold on, what device are you using Mary? I’m accessing it on my iPad which has Kindle installed, so not sure if that makes a difference or what. Mary, it worked fine with my kindle app so I think it should be OK with a kindle. Make sure you select the .mobi format and you shouldn’t have a problem. It will work on any kindle device. 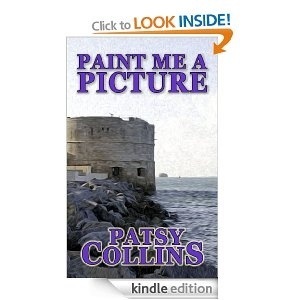 Never heard of Patsy Collins…must give a book a try!! Patsy is lovely and so are her books!